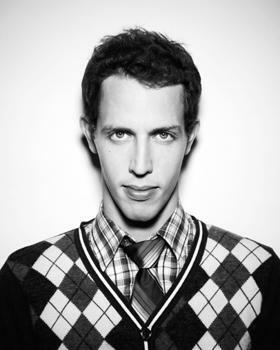 After selling out his debut Australian tour in 2016, US comedian Tony Hinchcliffe is back with “The Golden Pony Ride 2017”. Since his last visit Tony has been busy! In addition to the mammoth monster energy tour, Tony appeared in the Comedy Central inaugural Roast Battle specials, in Fusion’s All Def Roast Snoop Dog Smoke Out and will be appearing in the upcoming season of ‘What’s Your F@%king Deal’. Tony hosts his weekly show and podcast, Kill Tony, which now gets over 600K downloads per week, on the road he sells out with his strong drawing power due to his podcast, being a regular on The Joe Rogan Experience, and years of opening/featuring on tours with Jeffrey Ross, Joe Rogan, Dave Attell and Dave Chappelle. Tony just wrapped up a 20-cities-in-22-days tour through the US as part of the Monster Energy Outbreak Tour and this November he returns to Australia with his dark, free flowing and truly unapologetic stand-up comedy style.